Thankfully, they don’t breathe fire. 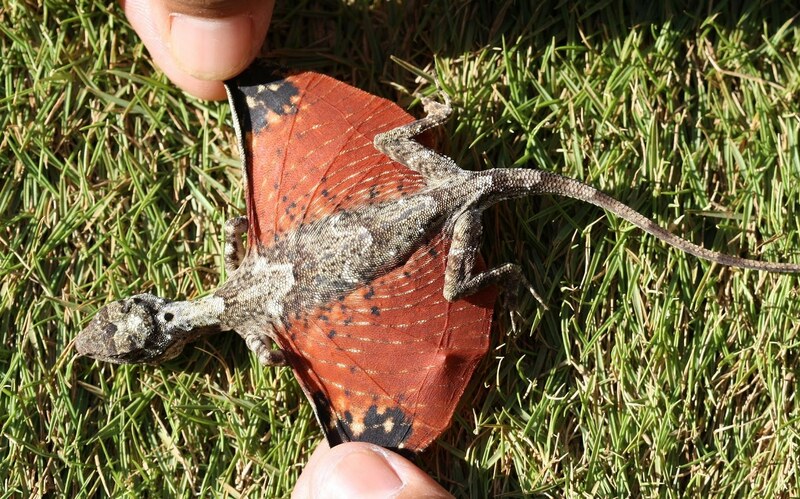 Their small, wing-like appendages allow them to soar from tree to tree in order to escape from predators, find insects, and attract potential mates. Ultimately, they have the ability to soar more than nine meters (about 30 feet) in one go. Fortunately, we don’t need to worry about them pillaging any towns any time soon (Smaug, anyone?). Dracos only reach about 20 centimeters (eight inches) long. Also, they don’t breath fire (alas). However, in spite of their size (and their lack of fire breathing), they are rather territorial. Most dracos have territories that consist of about three trees. And in these small spaces dracos spend almost their entire lives. It is where they find their food and their mates. It is where they live and, generally, where they die; however, it’s not where they are born.